Support Chicago Section IFT and promote your products and services to more than 3000 industry professionals. Suppliers' Night 2017 is "THE" regional food technology event with many opportunities to tell attendees about your organization. Thank you to all the Corporate Sponsors for helping out to make this year's Suppliers' Night the best in our history! Your sponsorship is GREATLY appreciated! See CSIFT Supporting Sponsorships as well. 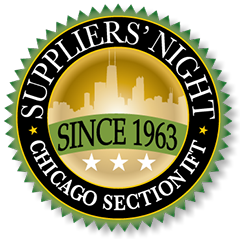 Thanks for supporting Chicago Section IFT's Suppliers' Night! Promote your latest product, advertise a new product line, or just point customers to visit your booth. A great advertising opportunity you don't want to miss! Every attendee receives an Exhibitor Guide. All ads must be received by October 1st to be included in the Guide. All ads should be in JPEG, PDF or EPS form. No ads will be accepted in any other format and should be less than 1 MB. Chicago Section IFT will not be creating any ads. Exhibitor Guide Ads should be sent to: suppliersnight@chicagoift.org by October 1, 2017. 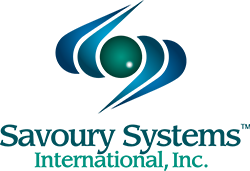 Email logo to: suppliersnight@chicagoift.org by October 1, 2017. Social Hour Sponsor: $500.00 - Ensure that attendees stay in the exhibit hall and visit every booth by sponsoring the Social Hour beginning at 5:30 PM. There will be a cash bar, party platters, and a good time to network with attendees. Sponsorship includes your logo on the sign/banner in the Social Hour. The exhibit hall will close at 5:30 PM allowing exhibitors to attend the social hour area. Drink Tickets: $10.00 each - We are also offering drink tickets @ $10.00 a ticket as giveaways at your booth. A great way to encourage attendees to come to your booth and to meet up during the social hour.